Kasey Kahne signs autographs for fans before a practice session for Sunday’s NASCAR Cup series auto race. 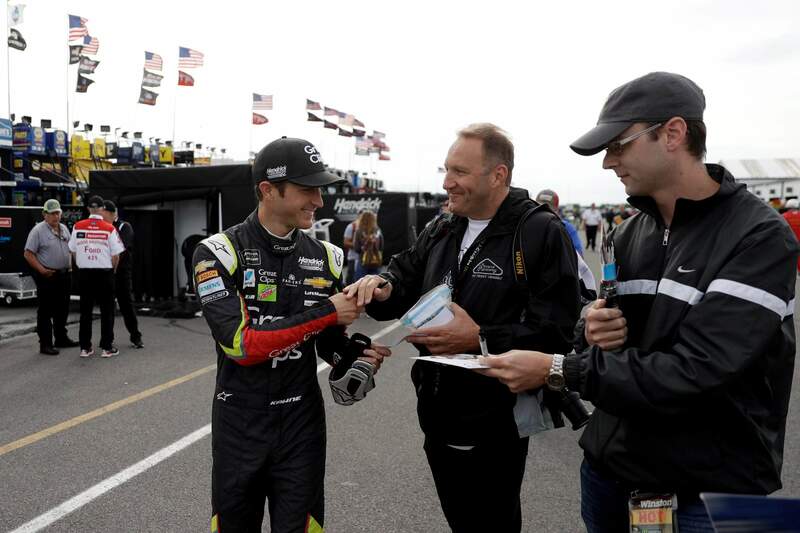 LONG POND, Pa. – Kasey Kahne was busy celebrating his win in the Brickyard 400 and missed his team owner state plans are not set for the No. 5 car next season.